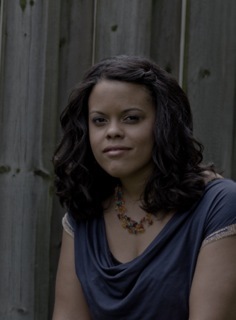 Cara-Lyn Morgan is a graduate of the University of Victoria’s Creative Writing program. She attended both the Banff School of the Arts Writing Program as well as the Sage Hill Writing Experience where she completed work on her debut collection of poetry. Her first book, What Became My Grieving Ceremony, was released in 2014 by Thistledown Press. She appeared at the 2014 INSPIRE Toronto International Book Fair in the First Nations, Inuit, and Metis Literary Circle. Her literary reviews and poems have appeared in magazines across Canada including Room, CV2, QWERTY, The Antigonish Review, and several others. let me not be abandoned. the only names that remain. a glimpse of the dead. like someone sleeping, not dead at all. My cousin Samuel puts his hands on my cheeks and asks, why? Why can’t we go out trick or treating? stash in the upstairs bathroom and weep fat, slow tears. pebble against her first and second finger. Her cup of tea goes cold but she does not drink it. which the neighbours realize is not a prop. to repay us for our lack of candy. These tears, they do not fall. for June, who lets them. full once the buffalo returned. and the bibleless click of the lost languages. the smile of looking away. a very cold place, indeed. while bulldozers splintered their church and houses. I will never be dry.